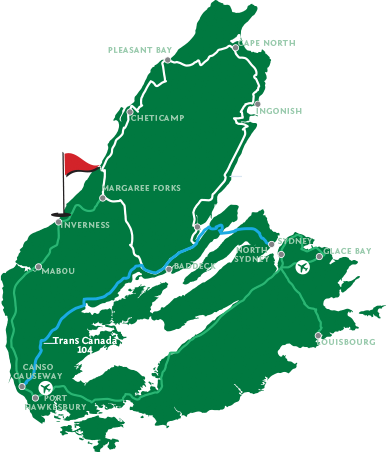 Nestled along the breathtaking shoreline of Cape Breton, Cabot Links is your invitation to a destination, a land and a journey like no other. The former editor of SCOREGolf, Ontario Golf Hall of Fame member Bob Weeks currently works as the golf analyst for TSN. The last time I played at Cabot Links, I got up early in the morning—very early. I walked to the first tee and just stood there for a moment, taking in the splendour spread out before me. The salty air was rolling in off the ocean, teasing my nostrils with an unmistakable ocean smell. The land was full of humps and bumps and rolls. Grass, short and long and green and brown, wavered in the breeze. The ground looked like a rolled carpet, as if it had never been touched, except perhaps by Mother Nature. Past the course, I saw lobster boats heading out to haul in traps and pull in what may very well be my dinner. You may not think of this sensory impact when you’re playing at Cabot Links, but to me it is as much a part of the round as the greens and the bunkers. The views, the smells, the sounds—there may not be anywhere else in the world where all of this combines with a remarkable golf course to create the perfect round. 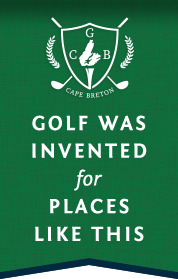 Cabot Links has begun to settle into its existence as one of the great golf courses in Canada and the world. And it continues to expand on its offering as one of the top experiences in all of golf. Entering its fourth full year of operation, the course has found its personality, which is meshed together through a brilliant design and incredible land formation that is rough-hewn, majestic, and inspiring all at the same time. 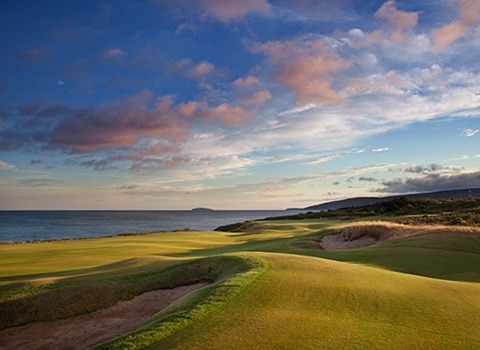 Teeing it up at Cabot Links is authentic golf. It’s about a good walk beside your caddie. It’s about trying shots you might not play at your regular course—a punch shot into the wind or chipping with your five-iron from 50 yards off the green. You might even face a 100-foot putt. What you quickly learn about Cabot Links is that there are almost as many different ways to play it as there are blades of grass on the fairway. The first hole is a wonderful short par 5 that lets you settle into the round and gives you a chance to make a fast start. But it’s followed by a meaty par 3 with a deep swale—the Biarritz—that separates two distinct portions of the green. And then there’s the third playing back towards the ocean. It’s a par 4 with wetlands on the right side and a dune bordering the left. Should you lay back and accept a longer but easier shot to the green? Or bust it and hope to avoid interference from the dune? Oh, and don’t forget to check the wind. By this time, it should be clear that this is a true links experience. The elements factor into every shot, and the firmness of the ground must be taken into consideration. Take special note of the sixth—a Cape Hole curving around the water where you bite off as much of the dogleg as you dare—and the eighth, where a massive double green can leave you with a putt that requires a full hip turn. The 14th is a simple, short, and stunning par 3 that may provide the best photo op on the course. But don’t underestimate it. Yes, it’s only 100 yards from the back, but it’s the epitome of devilish. The closing four holes add up to a challenging finish, with two par 4s playing right beside the water, and the 17th, a tough par 3 that turns back to the clubhouse, before you conclude with the home hole where you’ll need two big shots to finish on a high note. When you walk off 18, before you sit down for a post-round beer or single malt, stop and take in the surroundings. With a quick scan, you can see pretty much every hole you just played. But it is more than that. You can smell it, feel it, and hear it. 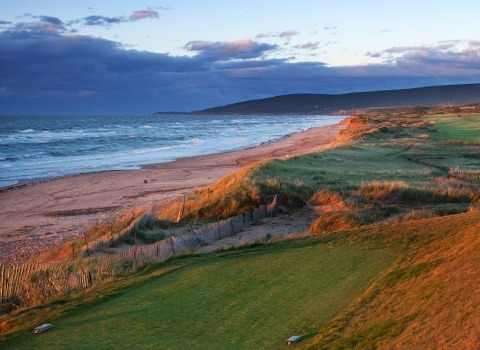 Cabot Links will fill you up with golf like no other place can.